In a municipal open access network, the municipality owns and operates fibre optic connections between buildings and make them available for lease on equal terms to any telecom/internet service provider. The streets and roads are built and maintained by the municipality for any to use to transport goods to the end users. 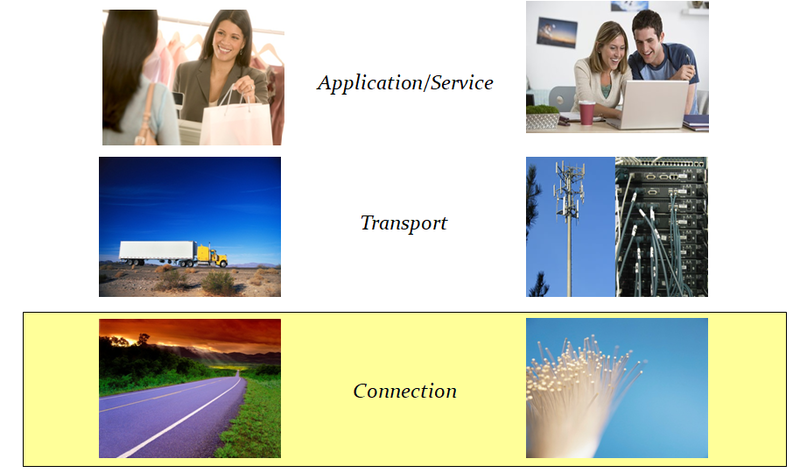 The fibre connections are built and maintained by the municipality for any (service provider) for lease to transport application and services to the end user.